The Christmas season is in full swing and just as one can expect to see decorative lights on every house and hear festive music coming from every speaker, they can expect malls and retail stores to be packed with people rushing to finish their holiday shopping. Yet unfortunately, this time of year when the checkout lines are longer and parking spaces are scarcer is also the time when people are the most susceptible to spreading germs. Cold weather combined with shuffling masses of people coming in and out of stores creates ample opportunities for you to get sick and pass those illnesses along to others. Here are a few helpful tips you can employ when shopping that can keep you from getting the sniffles after fulfilling Christmas wish lists. "Try to manage your spending and your commitments for the month." Cleveland Clinic Health Essentials noted that it's virtually impossible for us to keep our hands completely clean of bacteria and some germs. We should generally consider everything we touch when out in public to be something that could transmit a virus to us. "We can't protect ourselves against every single germ out there, but we have to be conscious of what we come in contact with, particularly at a time when we are exposed to so many more people in crowds, on the streets and in the stores," said, Alan Taege, an infectious disease specialist, to Cleveland Clinic Health Essentials. Things like door and shopping cart handles, tables and chairs, escalator railings and elevator buttons are all individual places within stores and other public areas that can have high concentrations of germs. Payment cards and cash can also carry germs, especially during the busy shopping season when cashiers must perform ample transactions and currency can switch hands numerous times in one day. The Center for Disease Control and Prevention stated that keeping the hands clean is one of the most important ways to fight illness and the spread of germs. The organization recommended washing your hands frequently with soap and water for at least 20 seconds whenever possible or using hand sanitizer. Washing your hands before eating anything is very important. Touching your face in general is something Cleveland Clinic Health Essentials advised against during this time of year. The face has soft and wet areas that germs can inhabit and multiply in. Keeping your hands, which may have infectious bacteria on them, away from these areas as much as possible can decrease your chances of getting sick. Shopping in light gloves is an option you can use to avoid getting germs directly on your hands. "Avoid touching your face and others," said Keri Peterson, an internist at Lenox Hill Hospital in New York City, to Fox News. "Be conscientious of touching your eyes, nose, and mouth, which will contaminate your hands. Most adults touch their face about 16 times a day, and children do a lot more often, increasing the spread of germs." 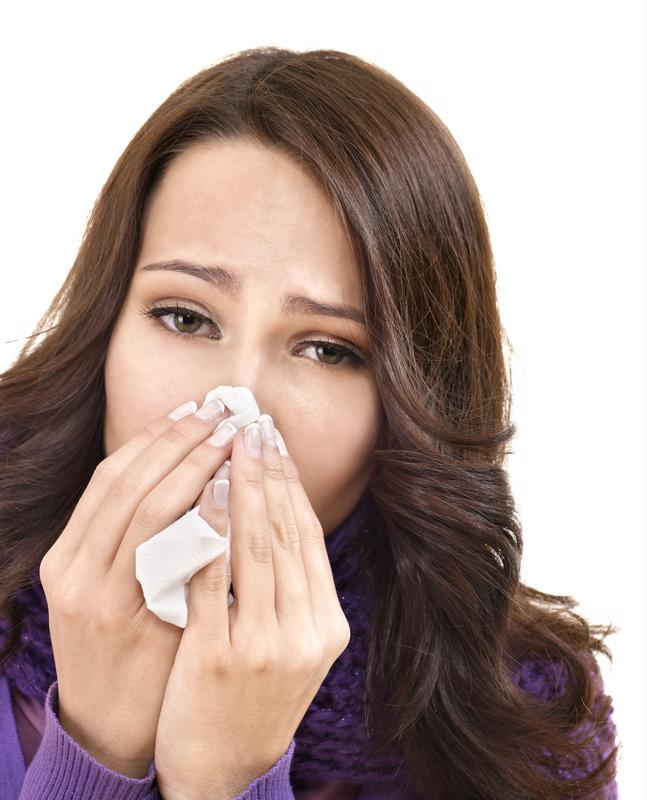 Cover your nose and mouth with a tissue when coughing or sneezing. If a tissue is not available, do not use your hands but rather, use your upper sleeve or elbow. Do your best to avoid direct contact with people you notice that have nasty coughs or do not properly cover their sneezes. If you do feel yourself becoming sick, do your best to remain home and rest. This can allow you to regain your health in the fastest way but just as importantly, it prevents the spread of whatever illness you contracted. It is no doubt that the holidays can be a trying time for many of us, especially if there is an abundance of shopping we need to do in the last few calendar weeks. Peterson told Fox News that the stress of the season can weaken our immune systems and make it more difficult to fight illness. Try to manage your spending and your commitments for the month so that you do not worry about either too much. Do not spread yourself so thin that you scrambling to get to two malls and a holiday party all in one afternoon. Exercise is an important part of maintaining one's health and doing so during the holidays can be challenging, yet rewarding. According to Medicine Plus, exercise can boost immune function by increasing the flow of antibodies within the blood and can flush bacteria from the lungs and airways, all which can keep you from getting sick. Physical activity is also a known stress reliever. Shopping can be turned into a more physical routine by taking the stairs instead of the escalator or parking on the side of the shopping center away from where your intended stores are and walking the distance. Eating well is also necessary to remain healthy during this time. Avoid foods that are high in fat and salt like those typically served in malls or at fast-food restaurants. Instead, opt for more fruits and vegetables, especially those high in the immune boosting vitamin C like oranges, broccoli, tomatoes and spinach. The end of the year can be a wonderful time full of happiness, laughter and moments spent with family. However, without the proper self-care and awareness an illness can make it a time of necessary bed rest, body aches and doctor visits, none of which are on anyone's wish list.